During the September luncheon, Yvette Doran, MBA, FACMPE, national chair of the Medical Group Management Association/American College of Medical Practice Executives Board of Directors, provided an update on trends impacting medical practices. Doran discussed current initiatives and available resources to support medical practices during an ongoing era of change in the healthcare delivery system. 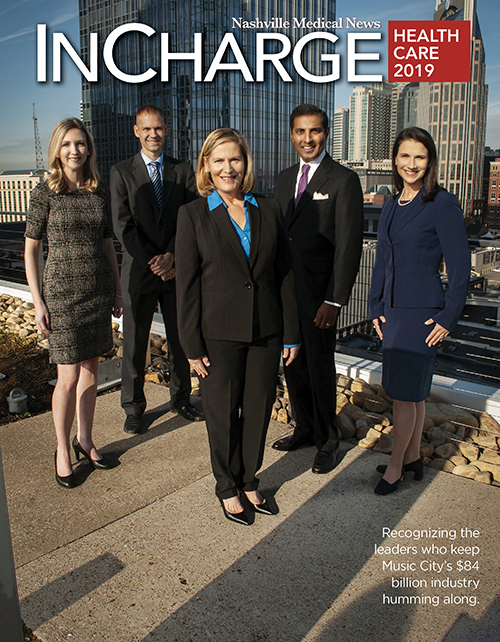 In addition to her national position, Doran has firsthand insight into the challenges facing physicians and administrators in the practice environment in her role as president and CEO of Saint Thomas Medical Partners/Ascension Medical Group-TN. "Joining MGMA was the single best decision I made in my career ... I just didn't know it at the time," she shared with a laugh. While Doran didn't plan to go into healthcare, 26 years later she can't imagine taking a different career path. 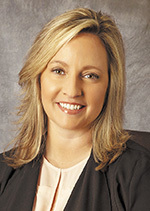 After graduating from college, Doran took a job in an East Tennessee practice while she explored her professional options. "I knew nothing about healthcare, but it was exciting," she recalled thinking. Making a move to Kingsport and a large multispecialty practice, Doran quickly realized she needed a resource to help her navigate the complex medical world. Landing in the local MGMA chapter, it didn't take long before she was actively involved and taking on local leadership roles ... which led to a larger state role ... and ultimately national involvement and leadership. "MGMA offers technical, analytic tools and opens up an entire world of networking," she told the audience, adding she didn't think she would be in her current position with Saint Thomas Health/Ascension if it weren't for joining a local MGMA chapter, getting involved, taking advantage of the educational opportunities and becoming connected to peers across the state and nation. Just as Doran was willing to be open to new challenges, she said the national organization has had to rethink their role in the healthcare ecosystem and be willing to make changes. "We weren't nimble as an association. We were very static," she said. "We knew we needed to change, but being willing to take that first step wasn't easy." Where MGMA had been focused on product orientation, the changing practice landscape meant the organization needed to become more agile to meet members' needs. "You need to be a service organization and add value to the people you're connecting with ... the key is connecting," Doran stressed. Today, MGMA focuses on engaging members by offering relevant education and professional credentialing for career advancement, working collaboratively with other industry stakeholders and government officials to craft solutions to address key issues, using data to drive business intelligence and highlight trends, and sharing industry insights and expertise. "You can't be all things to all people. Focus on what you do best," Doran said. However, she added, it's also important to recognize that members aren't all in the same place in their own journeys. There has to be offerings to cover the range of experience from the very seasoned, multispecialty practice manager ... to the next young graduate who finds herself in the strange but exciting world of healthcare. "I'm somebody who believes you get what you give, but I've certainly gotten more than I've given ... I can't tell you the many blessings and returns I've received from serving in MGMA," Doran summed up. For practice administrators interested in becoming involved with the local Nashville MGMA chapter, contact Joy Testa at website@nashvillemgma.org for a guest registration to an upcoming event. Next month's meeting (see box) features both a meeting and the fall networking social. Mark the calendar for a special time and place as the Oct. 9 meeting and fall social will be held at the Burr & Forman offices at 222 Second Ave. S.
From 4-5 pm, attendees will hear the latest from Medicare Part B Senior Education Consultant Paula Motes of Palmetto GBA followed by a networking event on the terrace from 5-7 pm. The event is sponsored by Burr & Forman, LLP and Kraft Healthcare Consulting, LLC. 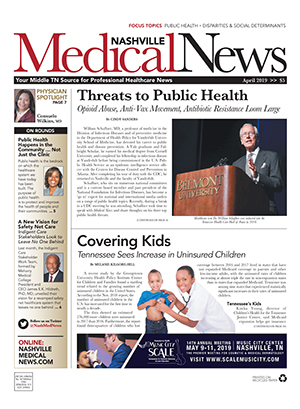 Go to NashvilleMGMA.org for more information.